Fascinating information and delicious narration! 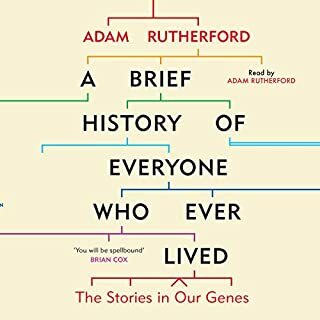 This book does ramble a little, especially in the second half, but it's packed full of interesting information about genes, chromosomes, DNA and how it all works in the human body (so far as scientists have figured it out yet). I loved the historical investigations and learning how genetics is upending accepted truths about human evolution. The book also explodes plenty of popular myths about ancestry kits and genetic links to disease. The narration added considerably to my enjoyment of this audiobook. Adam Rutherford has the most beautiful voice, with exquisite diction. His reading is expressive and quite conversational at times, which makes technical details easier to understand. This was a thoroughly entertaining listen. In 1913 John Farringdale, with his cousin Eric Foster, visits the famous archaeologist Tolgen Reisby. 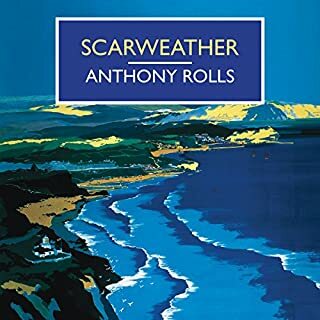 At Scarweather - Reisby's lonely house on the windswept northern coast of England - Eric is quickly attracted to Reisby's much younger wife, and matters soon take a dangerous turn. Fifteen years later the final scene of the drama is enacted. This book is pleasantly steeped in the attitudes and lifestyle of English middle class society before and after the First World War. There is a murder which is eventually uncovered but the story unfolds very slowly. It made for a reasonably enjoyable listen whilst doing other things but was not particularly compelling. Most readers will guess the outcome way before the narrator John Farringdale, who is remarkably obtuse. Gordon Griffin's narration is as it always is: competent but uninspired, with a soothing rhythm, little variation in speed or atmosphere and the occasional mispronunciation or incorrectly stressed phrase. He's a good fit for these period piece mysteries, just letting the story roll along. I sensed a melancholy and sometimes menacing tone to this book which is different from many Golden Age mysteries which are a pure intellectual puzzle. Just don't expect plot twists or you'll be disappointed. This book is vastly entertaining. 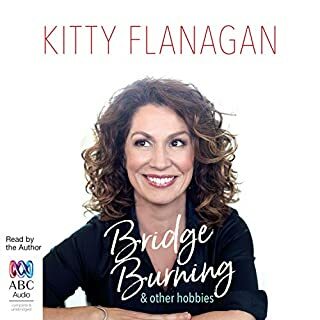 It's not just the odd events that have happened in Kitty Flanagan's life but also her amusing observations and her vivid descriptions. The wonderfully precise language is matched by the author's expressive narration, featuring a wide range of voices and superb comic timing. This one will definitely be listened to again! 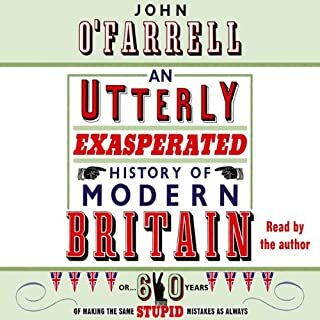 Following his hugely popular account of the previous 2000 years, John O'Farrell now comes bang up to date with a hilarious modern history asking 'How the hell did we end up here?' An Utterly Exasperated History of Modern Britain informs, elucidates and laughs at all the bizarre events, ridiculous characters and stupid decisions that have shaped Britain's story since 1945; leaving the Twenty-First Century reader feeling fantastically smug for having the benefit of hindsight. As a non-British student of history I knew the general outline of British post-war history from but there was still plenty for me to learn from this book. I loved the author's deft and amusing way with words and I appreciated his analysis of British attitudes and the broader impact of significant events. The author's narration is excellent: well-paced, expressive and humorous. The ending is poignant and hopeful. I just wish the previous book was available in unabridged format! The Wife Drought was a thoroughly enjoyable listening experience. 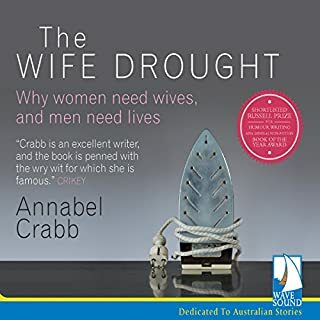 The book is full of thought-provoking insights and some jaw-dropping stats about work-life balance and households' domestic arrangements, but it also abounds in funny anecdotes and Annabel Crabb's deliciously amusing prose. The author's narration is bright and expressive. Her own personal experiences that are woven throughout the narrative are humorous but also instructive. The title might make it sound like a feminist rant, but there's lots of sympathy for stay at home dads and corporate absentee fathers as well. Above all, as someone who loves language, I loved the sheer style of this book and it comes through loud and clear in the audio version. I has recently discovered Inspector French and I'm finding the books enormously entertaining. 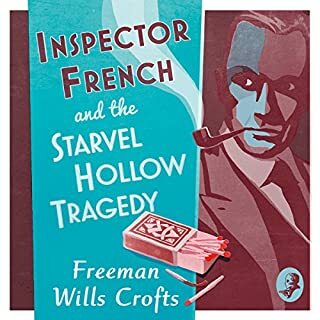 They are perfect for audio, as Phil Fox's expressive narration takes us through French's careful investigation of all possible leads until he discovers the truth. The 1920s setting makes a pleasant change from modern police procedurals with their emphasis on technology and trawling through a mass of data. These books are dated in a good way, with their portrait of an English way of life that is long gone. This one has an intriguing mystery which takes a long time for French to unravel. I did guess the culprit, but then I second-guessed myself, such is the complexity of the solution. If you like the gentler pace of Golden Age detective stories, you'll enjoy this book. Secret agent Richard Hannay travels across war-torn Europe in search of a German plot and an Islamic messiah. He is joined by three others: John S. Blenkiron, an American who is determined to battle the Kaiser; Peter Pienaar, an old Boer Scout; and the colorful Sandy Arbuthnot, who is modeled on Lawrence of Arabia. Their success or failure could change the outcome of the First World War. John Buchan's novels are both engrossing adventures and fascinating social history by now, a century after they were written. 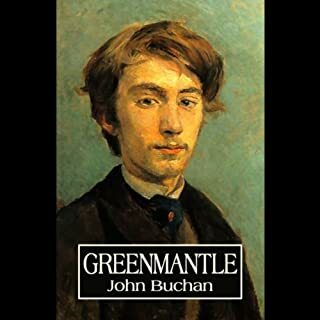 Greenmantle takes us on a perilous journey with Richard Hannay, wonderfully described with details of the physical environment and his feelings along the way. But it also shows us the heroic, self-sacrificing attitude with which ordinary people played their part in the conflicts of the early 20th century. Yes, the paternalism and casual racism of this period is also on display but I've never let that interfere with my enjoyment of fiction that is a product of its time. Robert Whitfield's narration suits this book very well; his Hannay sounds educated and principled and thoroughly British in outlook. His performance is expressive and pleasant to listen to, with just occasionally misplaced emphasis that would puzzle me until I checked the kindle text edition. I enjoyed this adventure enormously; it made for a great audio experience. Groomed from a young age for marriage by her mother, the fearsome Lady Montdore, Polly causes a scandal when she declares her love for her uncle, the lecherous lecturer, and runs off to France. This book was so much fun! I loved the characters (apparently only slightly exaggerated portraits of real people in the author's life) and their aristocratic eccentricities. 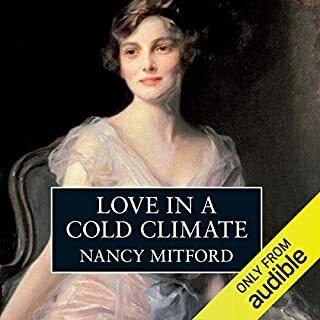 Nancy Mitford is a wonderful wordsmith, whose witty and elegant prose brings to life the interwar existence of England's upper classes. Patricia Hodge's narration is utterly perfect for this material; her accent is suitably aristocratic and her style is very expressive but with a brisk, no-nonsense quality that brings out the book's satirical humour. The characters' voices are well defined and the story rattles along at a good pace. This is one audiobook I will definitely listen to (and laugh at) again. This is the first book I've read in this series and it won't be the last. 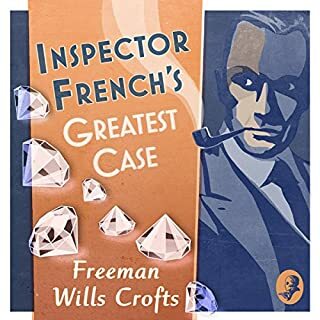 The Inspector French books are perfect audio fare; the inspector follows up each lead in a methodical way, with several intriguing little mysteries to be solved within the overall investigation of the crime. The solution is ingenious and fits all the facts. Phil Fox's narration is excellent, with plenty of expression and a variety of well-defined voices for the different characters. His voice showcases the author's prose, which has a quality of elegance that I appreciated as much as the cleverness of the plot. I thoroughly enjoyed this step back in time to the era of the classic detective story. In this mixture of cultural and social history that is both scholarly and vastly entertaining, Eyman dispels the myths and gives us the missing chapter in the history of Hollywood, the ribbon of dreams by which America conquered the world. This book is a treasure trove of fascinating details about an easily misremembered part of film history. I learned that it was a much more complicated process than just a new technology coming along and old stars quietly fading away. Whilst I enjoyed this book immensely, it is not without structural flaws, which are amplified by the audio format. In places there is too much detail, as if the author wanted to cram in every bit of his research. And he tends to drop people into the story without sufficient indication of who they are, which may leave some listeners a bit lost unless they already know something about Hollywood history. The events of 1927-1930 are described roughly chronologically, which is probably the best way to go about such a huge topic, but it made for a frustrating experience at times; an interesting plot thread (John Gilbert's first sound films, William Fox's financial gambles) would be dropped at a tantalising point and then suddenly picked up again ages later, by which time I'd forgotten some of the relevant details. There's a lot of jumping from one film project to another, particularly in the latter part of the book, without enough commentary to draw the facts together into an overall narrative. The author does shine when he analyses the mood and behaviour of the movie industry and the qualities of the films it produced. He describes the key players' acting and directing styles and the features of the finished films with great clarity and elegance. Reading these comments made me start searching out some of those movies so I can see them for myself. By making extensive use of quotes from actors and production staff, Eyman tells the story of the coming of talkies through the people who lived it, which makes it more immediate and engaging. I liked the narration, which I felt enhanced the audio version of this book. Even though the material is densely detailed, Adams Morgan's delivery is very conversational and expressive, even when relating rather dry technical information. He has excellent diction but also throws in the occasional howling mispronunciation. Unfortunately though (and ironically, given the subject matter) in the last 40 minutes or so there is noticeable sound distortion which makes the narrator's voice become higher in pitch and less distinct. Overall, though, this book was entertaining, informative and inspiring (so far I can recommend Sunrise and Bulldog Drummond, and check out the astonishing Jeanne Eagles in The Letter!) and I was kind of sad to leave this time period when the book ended. 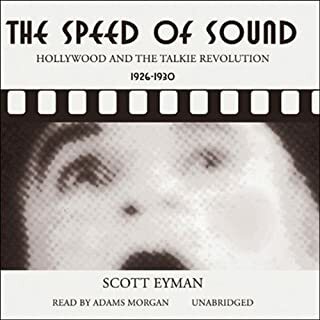 By then I understood not just how the upheaval of talking pictures occurred, but also why it occurred in the way it did, which means that The Speed of Sound succeeds as history.